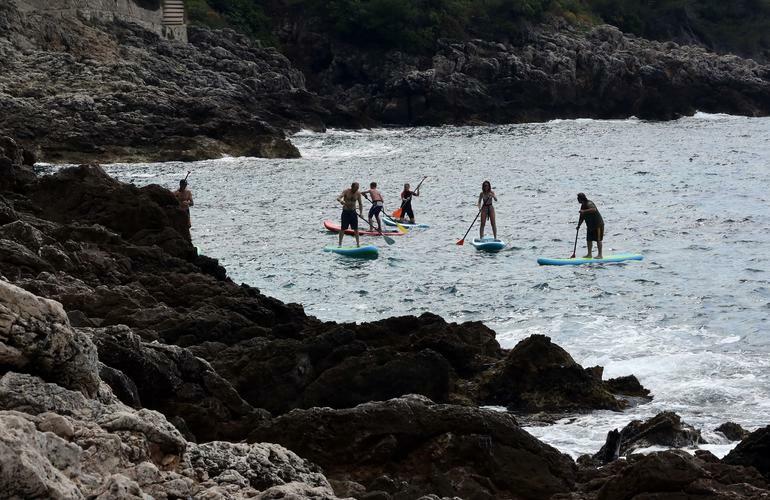 Aquareve invites you to go on a beautiful SUP excursion in Cap Martin to discover the beautiful coastal landscapes of the French Riviera! 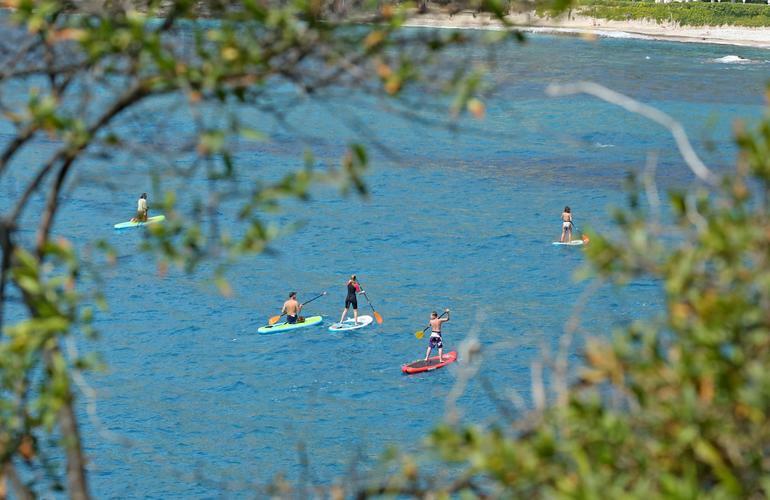 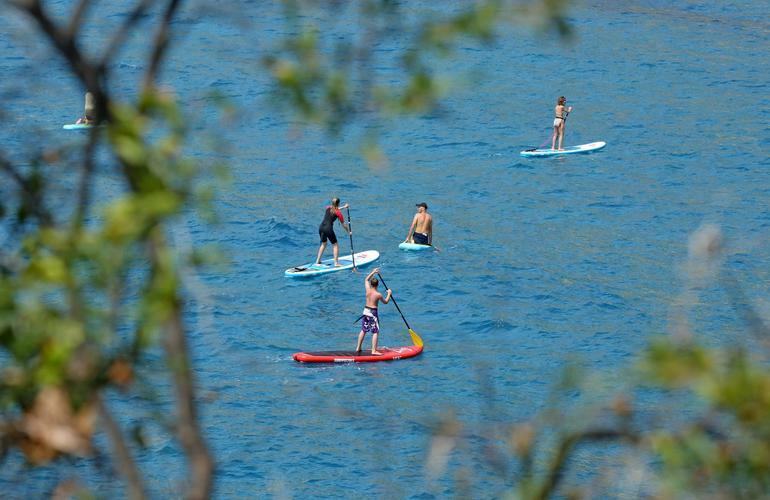 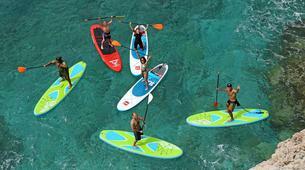 Stand-up paddle or SUP is a sport native to Hawaii. 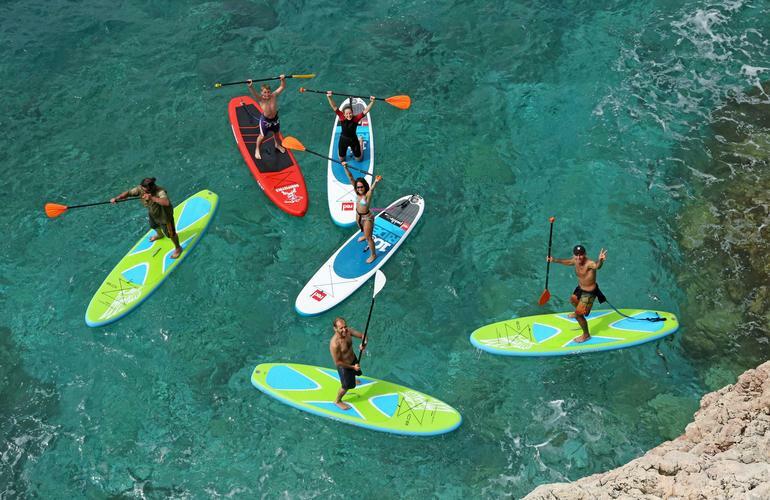 If you really want to have fun during your holidays in the French Riviera, try this activity! 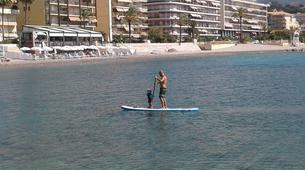 It consists in standing on a large surfboard equipped with a long, simple paddle. 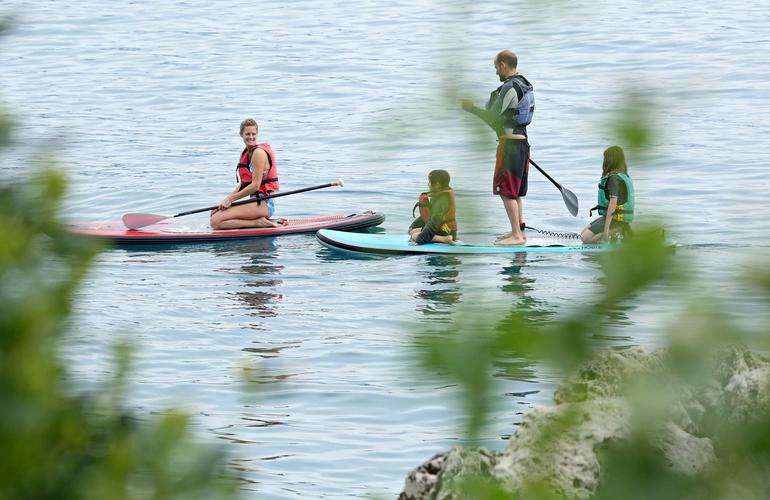 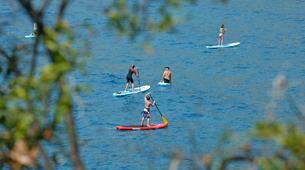 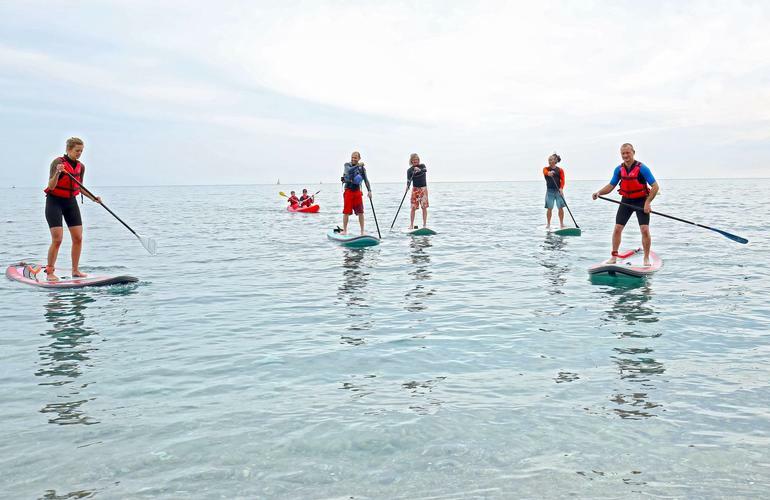 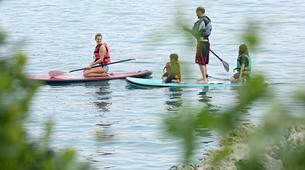 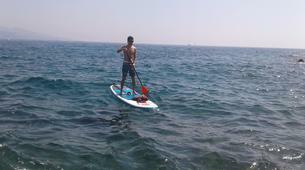 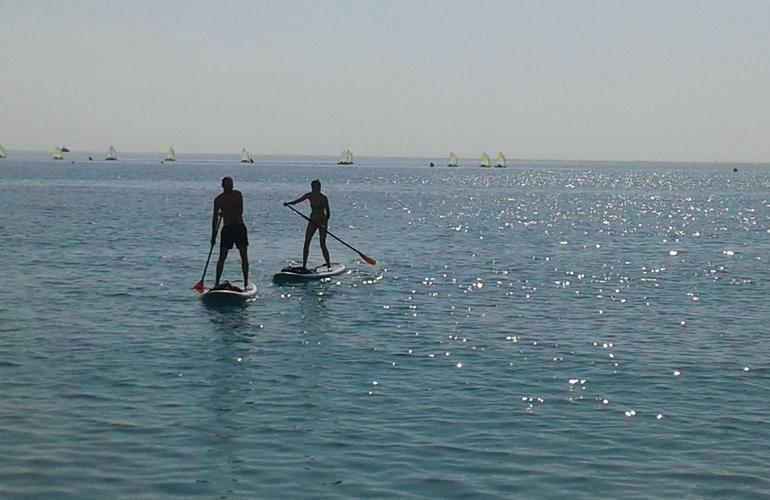 The Stand-up Paddle allows you to experience a family day out at the beach or even a coastal excursion. 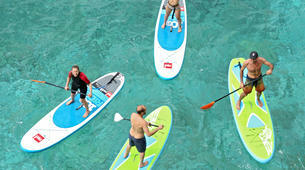 It can surf waves from 20 cm or be used for a yoga session in calm weather. 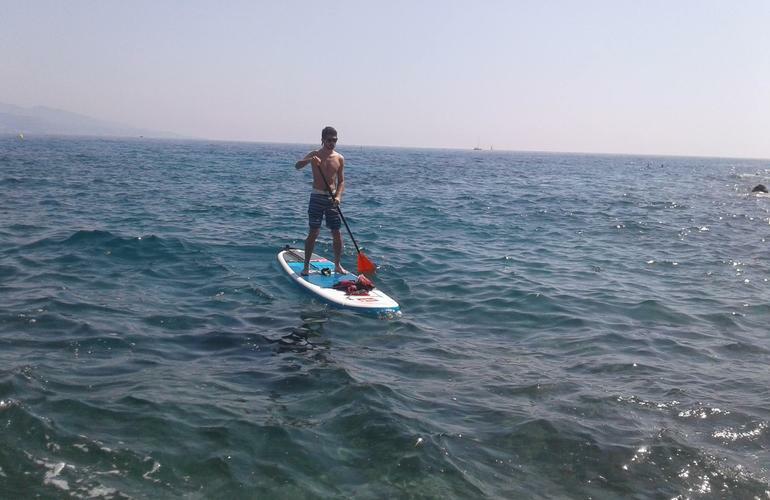 You can even lie on the board with a mask to observe the underwater life! 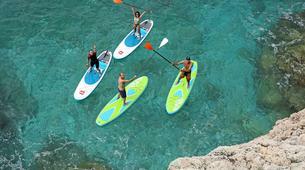 If you are close to Nice, Cannes, Menton or Monaco, the guides of Aquareve will help you discover the Cap Martin during an emotional half day excursion! 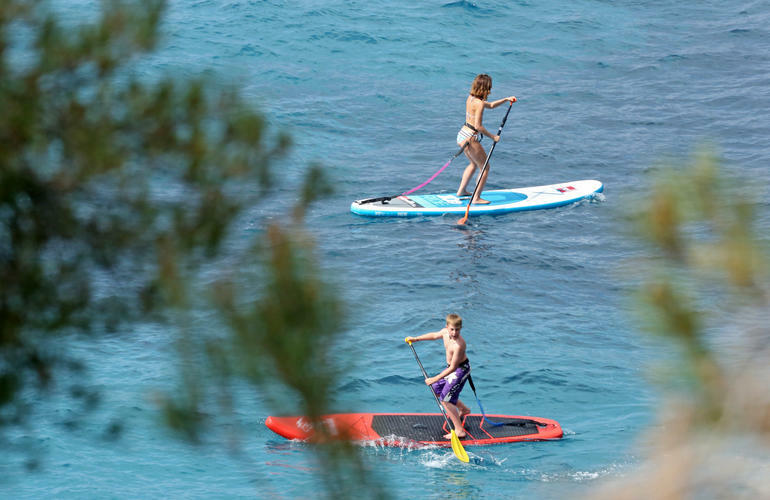 Located between Menton and Monaco, the Cap Martin is perfect for stand up paddling, as you will be protected from the wind. 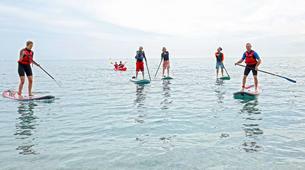 You'll start with a briefing on the basic techniques before paddling along the Cap and discovering the beautiful coast and crystal clear waters. 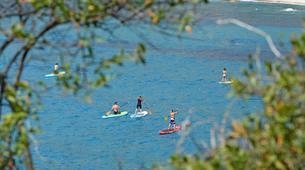 Come and explore the coastal landscapes of the Mediterranean Sea only 30 minutes from Nice! 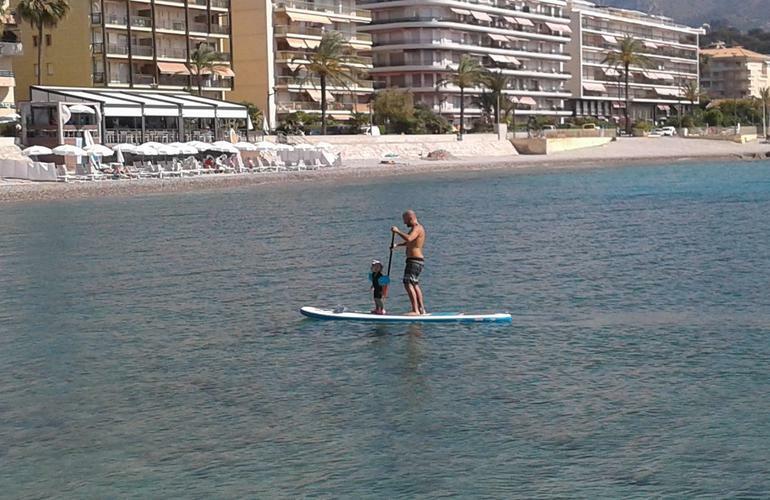 Très sympa, une fois l'équilibre et quelques repères trouvés, on profite à fond du soleil et du cadre. 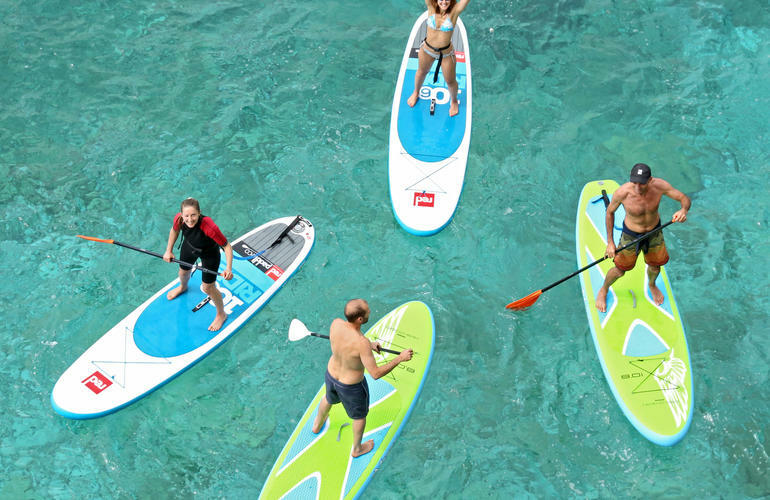 Activité cool et apaisante même si c'est du sport !